The second of two volumes by Jack Bruce covers Nieuports 17bis, 24, 25 and 27 in great depth and detail. This Special comprises 48 pages (six of them in full colour) with a dozen authentic colour profiles, over seven pages of scale drawings, 90 archive photos and 10 close-up photos.For those building any of the Roden late Nieuport series V-strutters this is the perfect reference package and the ideal partner to Volume 1! 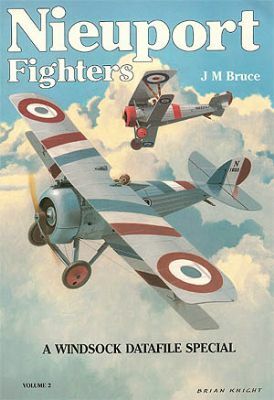 Jack M Bruce presents the first of two volumes covering the Nieuport fighters.